Specially formulated to remove dirt and tough stains on floors for outstanding streak-free cleaning. 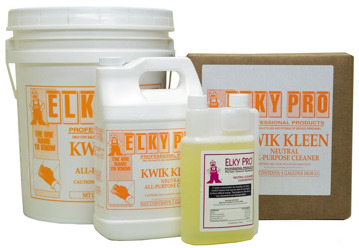 Unlike oil soaps, it cleans away tough messes without dulling your wood's finish. This product can be used on hardwood floors and also on ceramic, tile, stone, marble, linoleum and laminate flooring, and is safe for daily use. Product is not for use on unfinished, waxed or oiled wood. This system includes everything needed for easy and safe cleaning of hardwood floors on a professional level. Comes with a four-piece mop with handle, a dusting pad, a cleaning pad and a spray bottle of wood floor cleaner. Easy to maneuver mophead with telescopic handle makes light work of hard-to-reach cracks and corners. Four-piece pole is easy to assemble. 32-oz bottle of Professional Series Hardwood Cleaner brings a thorough clean to hardwood floors. A professional strength, non-toxic waterborne cleaner formulated for all types of hardwood floors coated with a clear, unwaxed finish. This environmentally responsible, professional cleaner leaves no residue and will not dull the floor's finish. Bona's Professional Series Hardwood Floor Cleaner Refill Cartridge is made for use in the hardwood floor spray mop. Bona's Professional Series Hardwood Floor Cleaner Refill Cartridge contains Bona's professional strength, no-residue hardwood floor cleaner in a ready-to-use cartridge. It is safe for wood and leaves no dulling residue. Professional strength, non-toxic, waterborne hardwood floor cleaner concentrate. Formulated for all types of hardwood floors coated with a clear, unwaxed finish, this environmentally responsible cleaner leaves no dulling residue and will not dull the floor's finish.